Dr. Xishan Hao, Professor, Chief Physician of Oncology. He plyas key roles in several NGOs in the field of medicine and public health. He is one of the Broad of Directors of the International Union Against Cancer, the Executive Council Member of Asian and Pacific Federation of Organization for Cancer Research and Control He was honored as the Academician of Chinese Academy of Engineering. 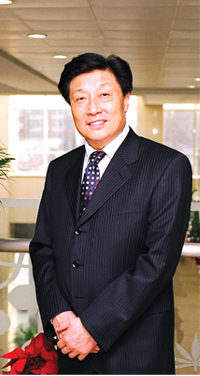 Dr. Hao was elected as the Vice-President of Chinese Medical Association in 2003. He has been in charge of and completed over 16 key projects supported by various national programs of scientific research and development, among which one was awarded the first prize of the Chinese Medical Technology Award, two were granted second prize of National Award for Science and Technology Advancement. He has published more than 140 scienctific papers.